East meets West at the International School. For the last couple of weeks they had been in the midst of colourful preparations: the children of the German section of the primary school. Last week, they showed their classmates how Easter is celebrated in Germany. It all started with hard-boiled eggs which were painted in vibrant patterns. That was followed by a giant egg-hunt, some Easter songs and poems, and then it was time for tea with German pastry and specialities. And this is only one example of how children at the International School get the opportunity to discover the cultures of their classmates from all over the world. 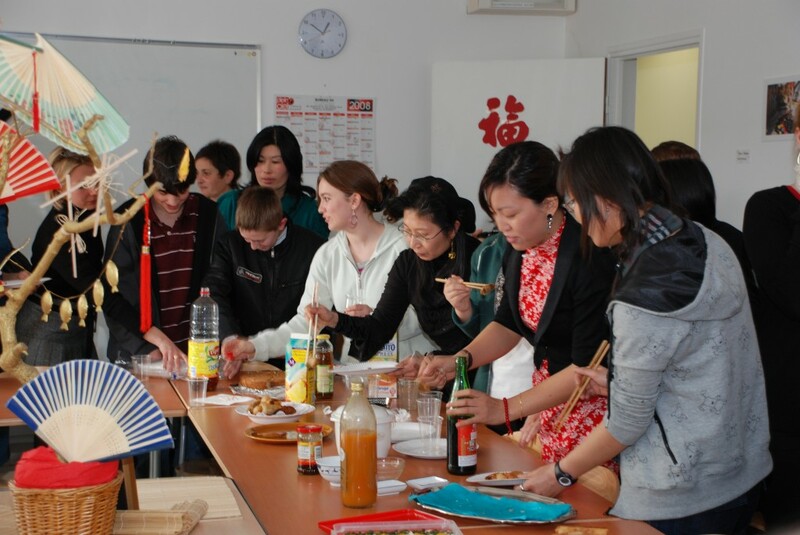 In close collaboration with the parents, who have the best knowledge of the traditions and folklore of their countries, songs, art and food are brought to life. It all started with Saint Nicolas on 5 December, a Dutch tradition where children (but only those who have been good and obedient all year round) receive presents, chocolate and Dutch cookies from Saint Nicolas, patron saint of children. This tradition, with its many Saint Nicolas songs, was also celebrated at the International School. Next in line was Christmas with its songs, shows, beautifully decorated Christmas tree and Santa Klaus to crown it all. Then, in February the Chinese New Year was celebrated with a dragon, calligraphy, traditional Chinese paper folding and music, and an amazing buffet of Chinese dishes. Talk about cultural diversity: with 19 nationalities currently represented on the International School campus, this initiative still has a long future ahead.